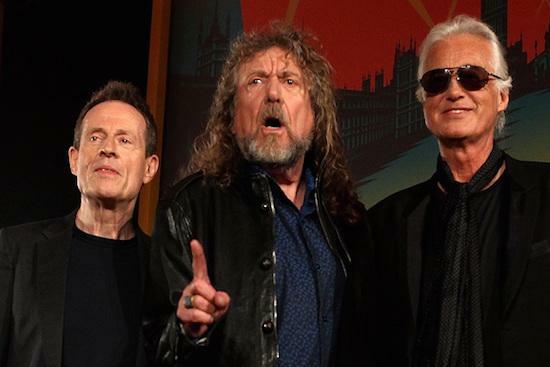 Former Led Zeppelin members Robert Plant and Jimmy Page will face trial in a copyright row over their hit ’Stairway To Heaven’ following a ruling by a US judge that the track’s tune may have been plagiarised. As BBC News reports, a jury will be expected to determine if the track copies its opening notes from a song by a rock band called Spirit. Michael Skidmore, presenting the case of behalf of late Spirit guitarist Randy Wolfe, claims that the band heard Spirit perform an instrumental while they toured together in 1968 and 1969, and then went on to use part of the track on ’Stairway To Heaven’. “While it is true that a descending chromatic four-chord progression is a common convention that abounds in the music industry, the similarities here transcend this core structure,” said US district judge Gary Klausner ruling that the case should face a jury-led trial. It will take place in Los Angeles from May 10 and if successful, Spirit will be entitled to royalties from the track.